Since it’s a recipe for chocolates, there must be some cocoa in it. Cocoa has a lot of antioxidants, it is also a source of magnesium, iron, zinc, manganese, potassium, B vitamins and fiber. Cocoa is also rich in tryptophan, which is transformed into one of the major neurotransmitters in our body – serotonin (often called the hormone of happiness). 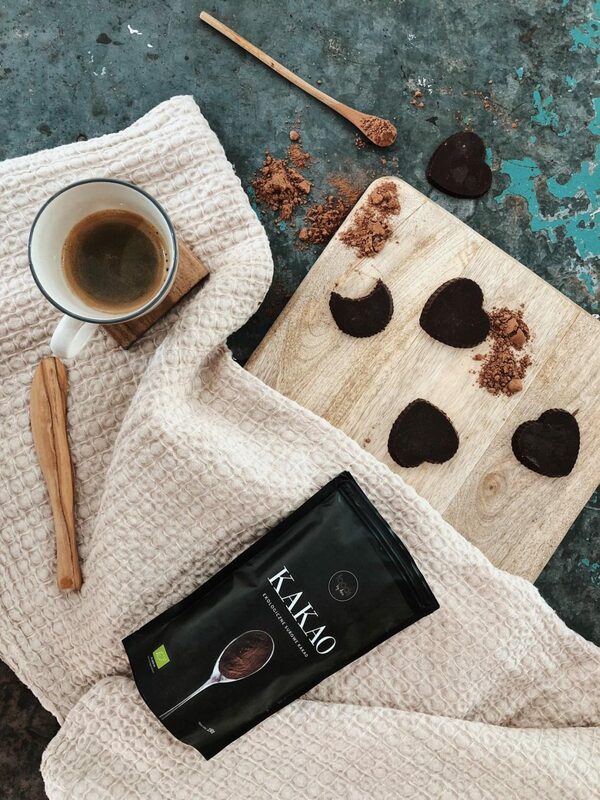 At the same time, thanks to the content of compounds such as theobromine and caffeine, cocoa has a stimulating effect, improving the mood. The content of phenylethylamine in cocoa raises the level of dopamine in the body, which translates into improved concentration, alertness and well-being. I combined the oil, cocoa, and butter in a pot and cooked for a while, then stirred in the spices. When the mixture cooled down, I added the honey and transferred the chocolate into heart-shaped moulds. I refrigerated them overnight. What sweets you will serve this year for Easter? :) Mazurek is an inseparable dish on my table, but I would not be myself if I had not modified the recipe.